Edcite aims to positively impact education by reducing teacher workload while at the same time increasing student engagement, feedback, and measurement. We provide teachers with a library of assignments, created by other teachers, that they can use as they find or adapt them to the specific needs of their classroom. If teachers decide they want to create content from scratch, we offer more than 45 different engaging question types that teachers can build to cover the material they are teaching. We support Smarter Balanced and PARCC question-types, including ELA passage highlighting, dynamic Math graphs and image labeling. We address the teacher workload through our assignments library and question creation options, but also with our automated grading and feedback features. We address student engagement by allowing such a wide variety of question types to be used and different multimedia elements to be included with questions. So who specifically is Edcite for? Who are the users? This product is designed to help teachers and through them impact all stakeholders in the education world. When teachers save time with planning, creating, and grading student work, they have more time for remediation, differentiation, and pushing specific kids further. Teachers are the ones who make the choice to use the product, however they are not the only ones our product targets. Students get an online experience that is more interactive and gives them more immediate feedback on their work. Motivated by teachers, students can improve learning with more directed practice. Our site is so far unique as a shared resource of teacher-created questions and assessments with the new common core interactive question types. Currently, there are sites where you can find printable lesson plans, or do old-style quizzes, or find videos…but teachers do not have a site that offers this wide of a range of new questions types and the ability to tailor questions and assignments to the needs of their classroom. This site takes sharing between teachers to the next level of quality and flexibility. We are motivated by the idea that interactive learning applications with better engagement, feedback, and measurement, can help teachers improve learning outcomes for the growing numbers of students each teacher has to manage. We saw that advances in software technology have made such tools easier to build. With our combined technology and teaching backgrounds we saw an opportunity to build a site that can help teachers. We’ve created a free site, with an expanding set of interactive software and content that better engages students, while giving students and teachers good feedback on each student’s progress. With teachers pressed for time, we feel it helps to have a widely-available, teacher-controlled, shared resource of tools and learning content that enables frequent student practice with reduced teacher effort. Edcite is managed by an experienced team with backgrounds in teaching, technology, and business. Talia Arbit, Product Strategist. After graduating from Barnard College with a double major in Environmental Biology and French, Talia joined the education world as a Teach For America corps member. She was one of the founding staff members at KIPP San Jose Collegiate, where she taught both biology and AP Environmental Science and served as the science department chair. Francis Joy, Founder, has worked in the technology industry for three decades. He has long been interested in problems facing education, from Illich’s ‘Deschooling Society’ onwards. 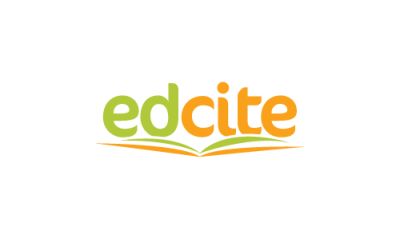 Now, with Edcite, he realizes the today’s technology does provide some of the solutions that weren’t possible earlier: learning webs, effective tools and resources contributed and maintained by communities of teachers and students. Brian McIntosh, Math Content Strategist, majored in Economics at Harvard College. He joined Teach For America in the Bay Area and taught Algebra 1 and 2 at KIPP San Jose Collegiate for two years. In the Summer of 2013, he worked at Harvard Education Innovation Laboratory developing a year of 6th grade Common Core curriculum for use in their nationwide after school tutoring program. He is currently teaching Geometry and Pre-Calculus (and coaching soccer) part time at Gateway High School in San Francisco. Amar Rajasekhar, Founder, started a career in engineering and then moved to marketing and strategic partnerships. Prior to Edcite, Amar led partnership initiatives at Cisco Systems and created go-to-market strategies to accelerate adoption of Cisco-VMware solutions. Earlier in his career, Amar was a management consultant with PWC and delivered business process improvements to global clients. Julia Sweeney, Global Teacher Outreach, earned her BA from the University of the Pacific with a major in Political Science and a minor in pre-law. She taught with Teach For America in the Mississippi Delta for two years, where she worked at a KIPP school teaching middle school English and Social Studies. Julia has worked with Teach For America’s Summer Training Programs for the past three years and loves working to support teachers and students. Julia moved to Ireland in August of 2013 and began creating content for Edcite and reaching out to Irish teachers. Tony G. Thomas, Founder, has been a programmer and entrepreneur for 20 years starting at AT&T Bell Labs. He was co-founder and CEO of AdventNet (now Zoho), and co-founder or angel investor in other technology companies. His passion is building software, and he is excited by the potential for software to help teachers in the classroom. We’re focused on growing our user base of teachers, as well as our content and teacher tools, in line with our goal to create a valuable resource for teachers and their students. We have reached over 5,000 teacher sign ups, which we see as a small subset of the teachers who could benefit from our site. As a shared resource the more teachers using the site, the more useful the site becomes with increased content and sharing. Our goal is always to increase the positive impact we have on our teachers and their classrooms. We hope to continue to grow our assignments and questions library, add more helpful features, and further support the the teachers on our site. 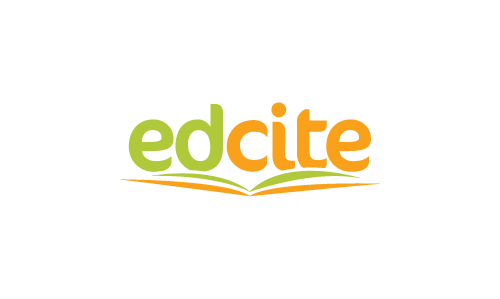 We have also seen viral adoption of Edcite in certain school districts, due to the activities of several early adopters who have spread the word and used Edcite during PD sessions. This has the potential to become an exciting growth avenue for us going forward.